I'm also not against people gettin' their Starbucks on. I don't get it, but let your green flag fly. Nope. It's all economics to me. I can make a delicious cup of "organic fair trade premium gourmet whole bean coffee" for only .07 a cup. (I would never say that in a real life conversation though because I eschew the purists by buying it at Costco and grinding THE WHOLE BAG there! Quelle horreur!) Also, to be fair, that price doesn't include the electricity or gas to heat the water, or the water itself, but even if I doubled it and rounded up to .15, I'm ok with that. Occasionally for a treat, I do like a peppermint mocha, or something more than just Swiss Miss. 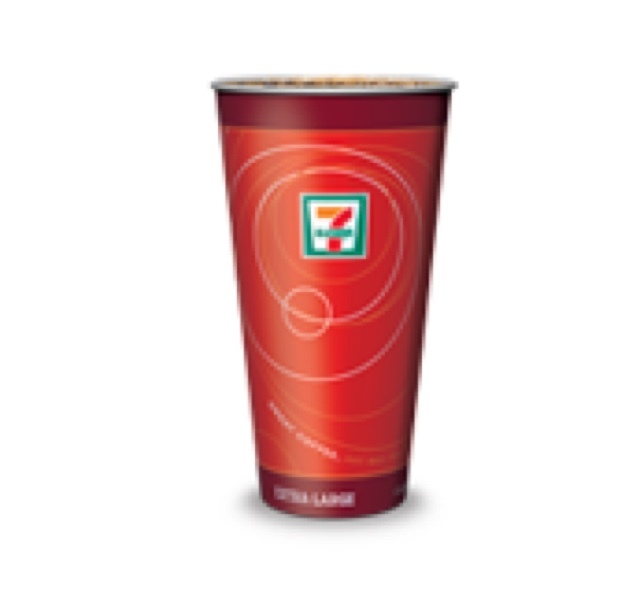 There are also times when I'm on-the-go I want something hot and tasty. 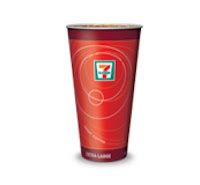 7-eleven coffee tastes good and it's cheap! (Their specialty drinks are good. Yes, they are made by a machine, not a barista, but that way you can pretend you live in the future.) I'm not a Pumpkin Spice Latte connoisseur, but they do offer those and I've been told it holds up well. Got about $1.50? You're gold! er...red. Now how about getting back to whatever you drink, in whichever cup you choose and go out and LOVE people. (Remember too, businesses are made of people.) That's what's disappearing from Christmas. That's why Christ came. Because he loves you.